Dubai, UAE 19, March 2019: Some of the biggest names in the world of music will perform at the spectacular Closing Ceremony for Special Olympics World Games Abu Dhabi 2019. Taking place at Zayed Sports City on Thursday evening, the event will see regional superstars Rashed Al Majed, Waleed Al Shami and Hamad Al Ameri entertain a crowd of thousands at the landmark stadium. The Closing Ceremony will also feature the world premiere of the music video for the official song of Special Olympics World Games Abu Dhabi 2019, ‘Right Where I’m Supposed To Be’. The incredible live event will be the perfect finale to seven days of sporting success, bravery and celebration of the human spirit. 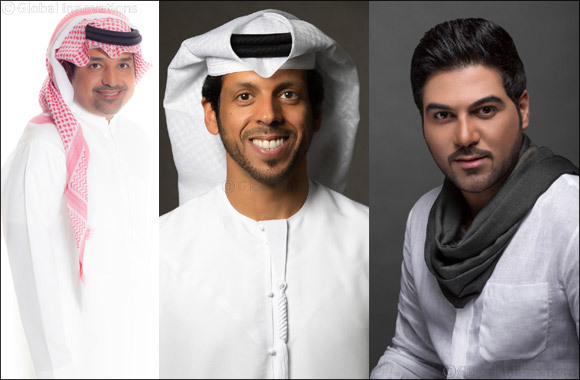 Khaleeji idol Rashed Al Majed, Iraqi star Waleed Al Shami, and Emirati singer Hamad Al Ameri are among the most popular and prolific Arabic artists in the world today. Appearing alone, each singer regularly attracts huge numbers of fans to their amazing live shows. The epic Closing Ceremony for the World Games is a fantastic and unique opportunity to see all three artists take to the stage on the same evening. As well as fantastic musical performances, the Closing Ceremony will also put volunteers firmly in the spotlight, celebrating the outstanding commitment and dedication of the 20,000 individuals who have been the backbone of the Games. Athletes and coaches will take part in a spectacular parade to officially bring the curtain down on the largest sporting and humanitarian event of the year. Members of the public are invited to attend the Closing Ceremony, which begins at 7pm, with tickets available to purchase for AED 60.